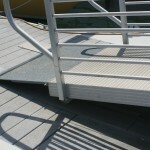 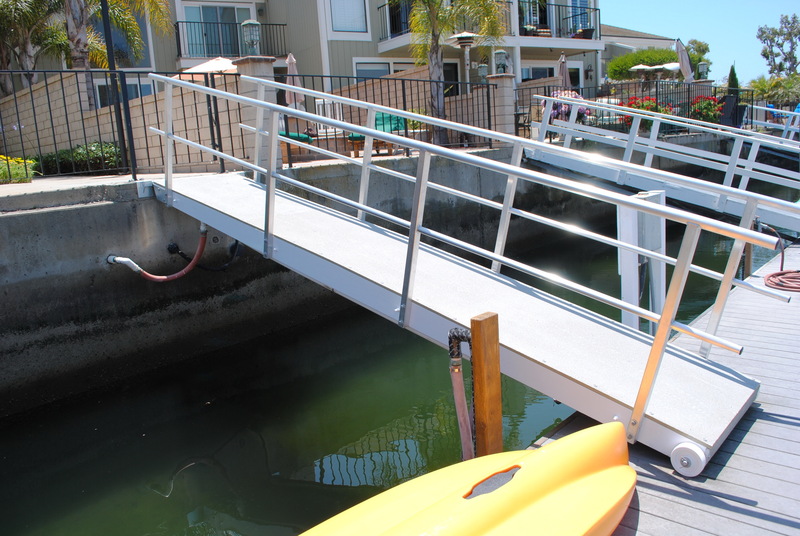 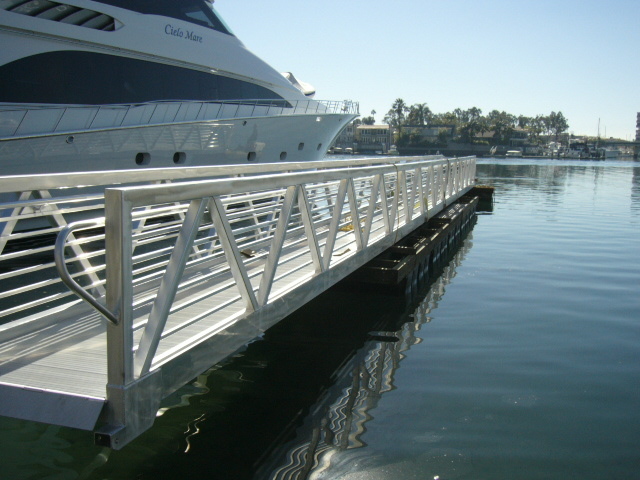 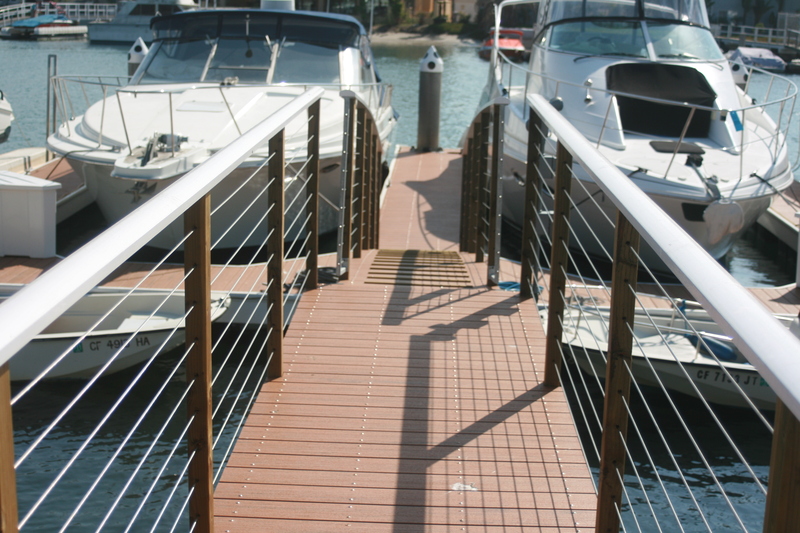 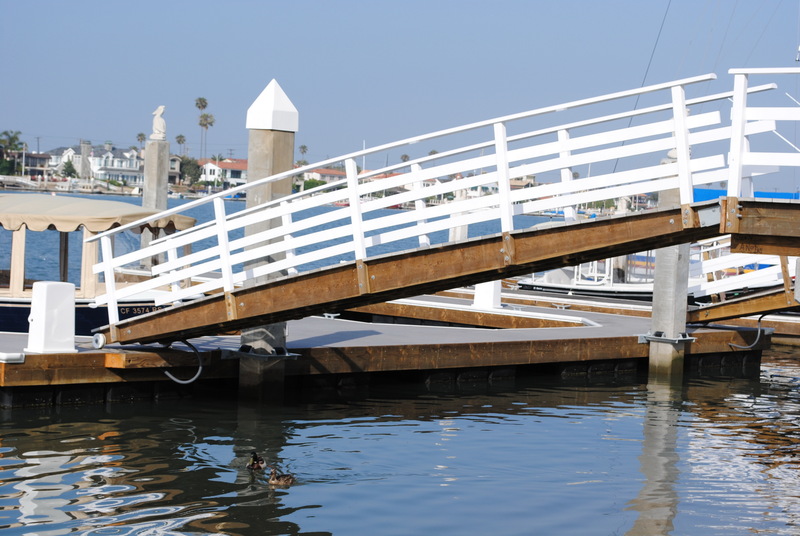 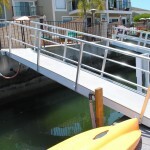 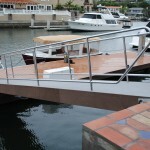 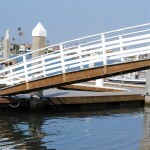 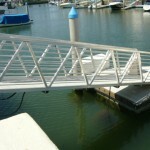 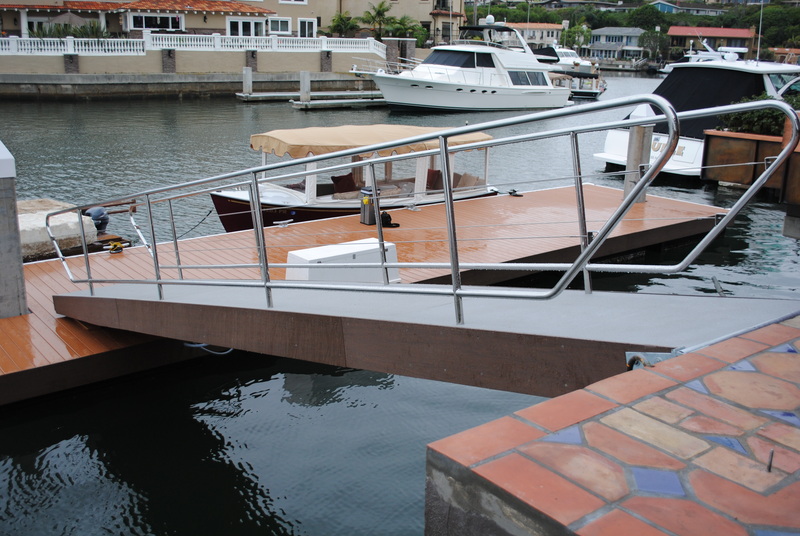 This gangway contains aluminum rails, a fiberglass deck, and a timber frame ranging in sizes from 3′ x 15′-28′. 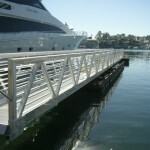 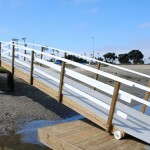 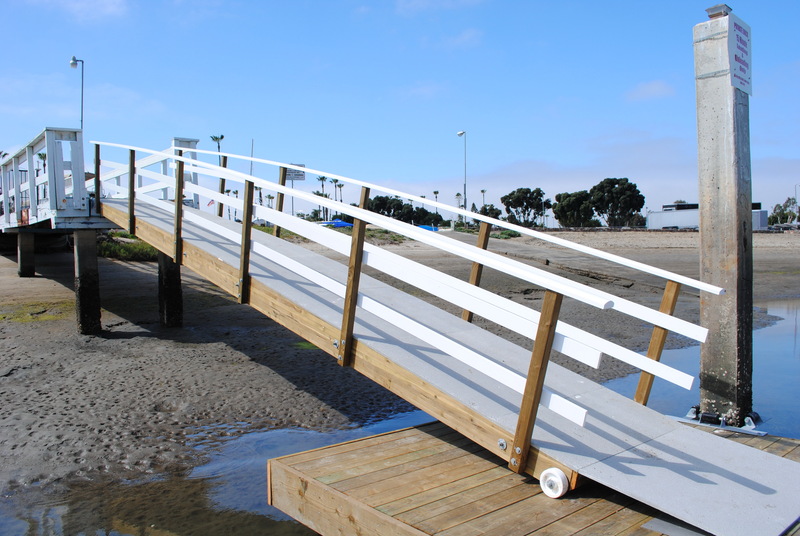 This gangway has Stainless steel railings based on the Olympic high dive platforms of the Summer Games in London 2012 along with nonskid fiberglass decking and Azek facia. 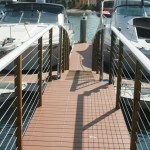 Cable railings can be made to your liking depending on spacing. 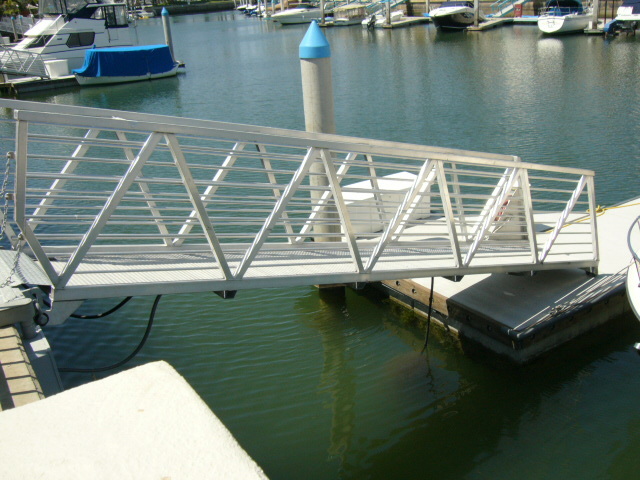 Click Here to see it in a project.